There’s nothing better than making memories with the entire family. With Sandos Playacar’s brand new hotel section, you need to look no further for the perfect resort. Facing the one of a kind Playacar white-sand beach, this amazing waterpark for children has areas for the entire family—and pretty soon an exclusive area for our Royal Elite members. Beginning November 2019, your little ones can have fun in the animal shaped slides while the older ones dive into the five bigger slides, where speed and water will be combined in a splash full of fun. For mom and dad, the new pool comes with a swim up bar, allowing you to enjoy your favorite cocktail without ever needing to leaving the pool. To top it off, every day, right next to the bar, our chefs will prepare something delicious for the entire family to indulge in. Bonus, amazing mixology is also present, providing special cocktails full of tropical flavors. In addition to the amazing outdoor amenities, we will also be introducing a brand renovated concept in our family section rooms, premiering two new categories, one of them featuring bunk beds for the kiddos! For those couples and friends not vacationing with their family, we have something special for you also. For adult guests age 18 and up, we will be premiering brand new room categories closer to the ocean. This brand new room category, the Select Club Ocean Front, guarantees to give you the perfect breeze with an absolutely stunning view. These new room categories are located closer to the beach and are available for reservations from next December and onwards. 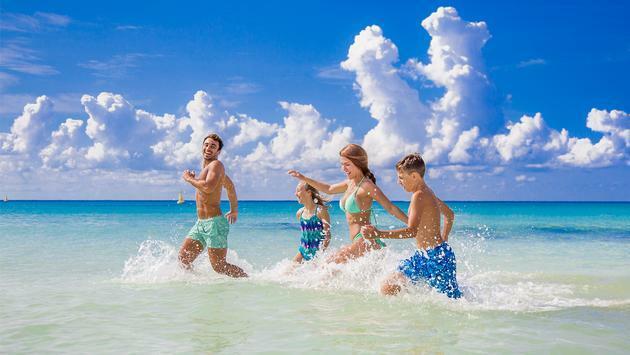 For more information on Sandos Playacar and their many upcoming additions, visit their blog page here.